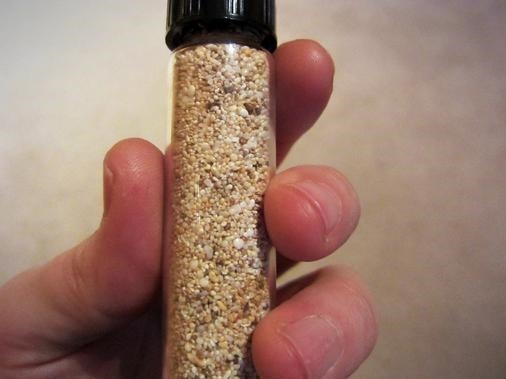 A vial of Pāpōhaku Beach sand to show scale. 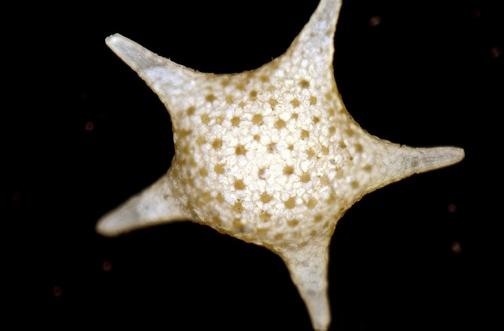 Click on the second icon below to see the same sand magnified. 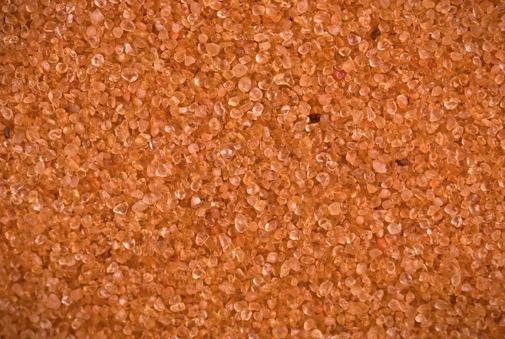 Pure orange sand from Coral Sand Dunes, Utah. 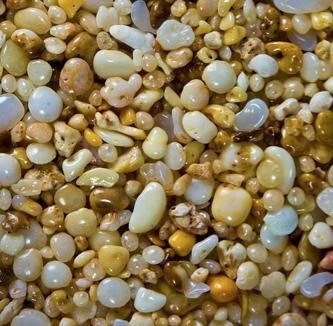 Sand from Papakōlea Beach. 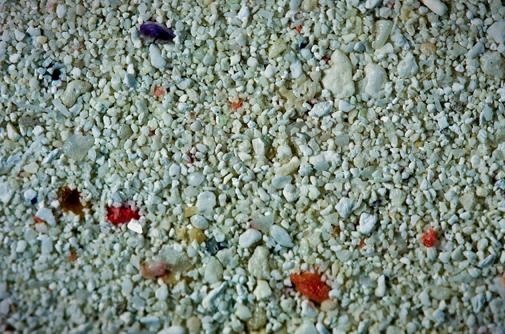 Mouser says: "The green grains are olivine, the black are basalt, and the white are possibly bits of shell. 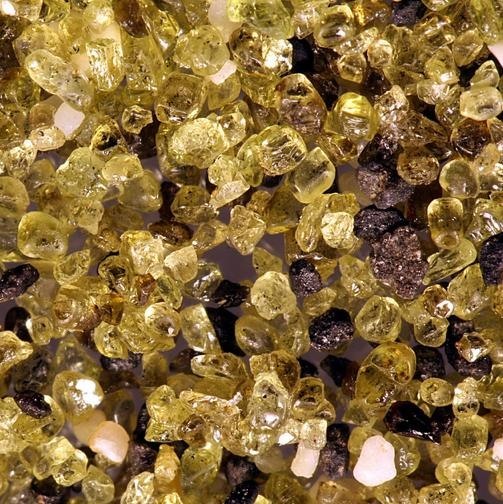 Green sand is reasonably rare; the southern tip of the big island of Hawai'i is the most common place to get it." 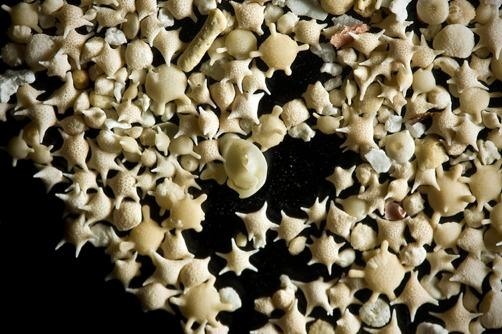 Star sand, found only on a few beaches in southern Japan, made of "the calcified shells of tiny organisms only a few milimeters across." A grain of star greatly magnified under the microscope. White, soft sand from Kichanga Lodge Beach, Zanzibar. 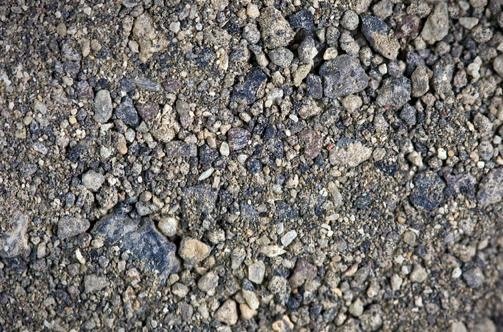 Sand from a glacial runoff on Kilimanjaro. Previously, Bark: An Intimate Look at the World's Trees. That's so cool - I didn't know that there were different types of sand like that!